Berkey BK4X2-BB Big Berkey is reviewed and rated. This unit surprised us. We gave a 5 star rating for rural water supplies and 3 stars for cities. See why. 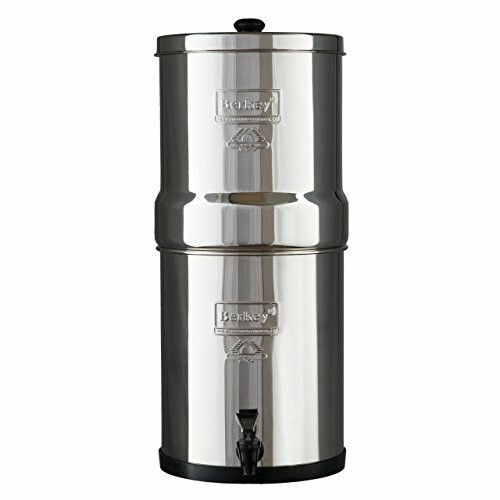 The Big Berkey water filter system offers a 2.25 gallon storage capacity, and is ideal for serving 1-4 people daily. Purify tap or raw water.